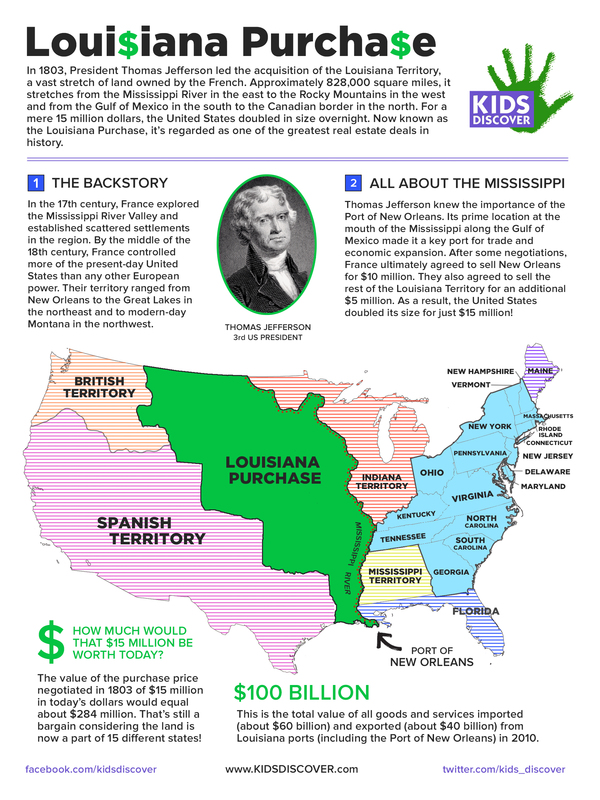 What is now regarded as one of the greatest real estate deals in history, the Louisiana Purchase, occurred in 1803. Led by Thomas Jefferson, the 3rd President of the United States, the deal saw the addition of approximately 828,000 square miles of land, effectively doubling the size of the United States overnight. Check out this free one-sheet that clearly outlines the territory that was acquired, and sheds some background on this historic event.